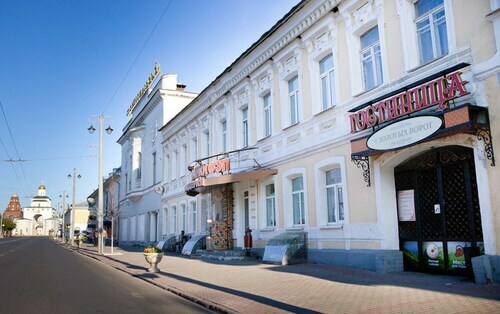 Situated in Vladimir, this hotel is steps from Planetarium and Nativity Monastery. Vladimir Regional History Museum and Vladimir Regional Puppet Theater are also within 10 minutes. Vladimir Station is 12 minutes by foot. 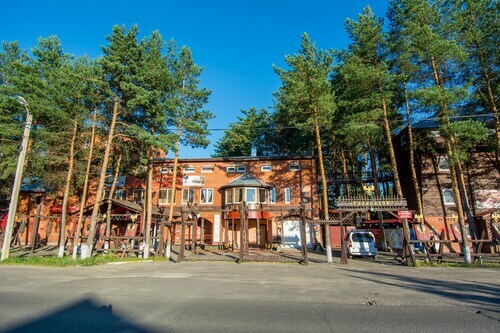 Located in the heart of Vladimir, this hotel is within a 10-minute walk of Vladimir Regional Puppet Theater, Vladimir Regional History Museum, and Planetarium. Golden Gates of Vladimir and Nativity Monastery are also within 15 minutes. Vladimir Station is 20 minutes by foot. 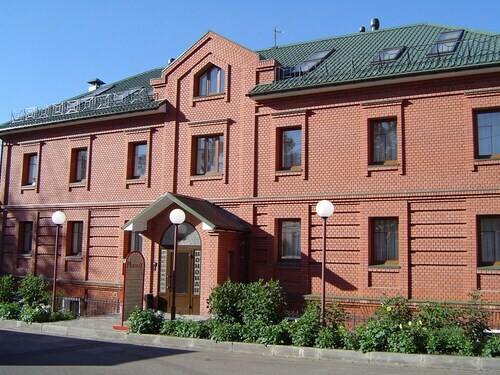 Situated in Vladimir, this hotel is within 6 mi (10 km) of Assumption Cathedral, Cathedral of Saint Demetrius, and Vladimir Regional History Museum. Roman Catholic Church of the Blessed Virgin Mary of the Rosary and Lunacharsky Drama Theater are also within 6 mi (10 km). Situated in the historical district, this hostel is within a 15-minute walk of Nativity Monastery, Planetarium, and Vladimir Regional History Museum. Cathedral of Saint Demetrius and Assumption Cathedral are also within 1 mi (2 km). Vladimir Station is 6 minutes by foot. 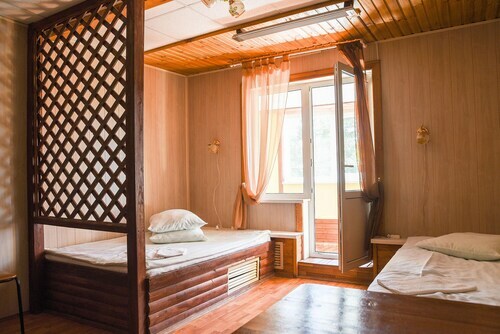 Situated in Vladimir, this hostel is within a 15-minute walk of Roman Catholic Church of the Blessed Virgin Mary of the Rosary, Lunacharsky Drama Theater, and Golden Gates of Vladimir. Crystal Lacquer Miniatures and Embroidery Exhibition and Assumption Cathedral are also within 1 mi (2 km). Vladimir Station is 20 minutes by foot. 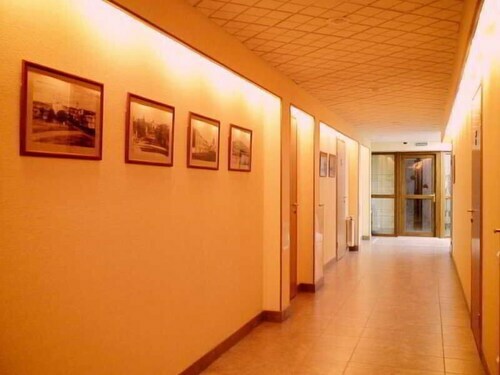 Situated in Vladimir, this hotel is within a 5-minute walk of Golden Gates of Vladimir, Crystal Lacquer Miniatures and Embroidery Exhibition, and Lunacharsky Drama Theater. Vladimir Regional Puppet Theater and Old Vladimir Water Tower are also within 10 minutes. Vladimir Station is 20 minutes by foot. Located in the heart of Vladimir, this hotel is steps from Golden Gates of Vladimir and Crystal Lacquer Miniatures and Embroidery Exhibition. Lunacharsky Drama Theater and Old Vladimir Water Tower are also within 5 minutes. Vladimir Station is 24 minutes by foot. 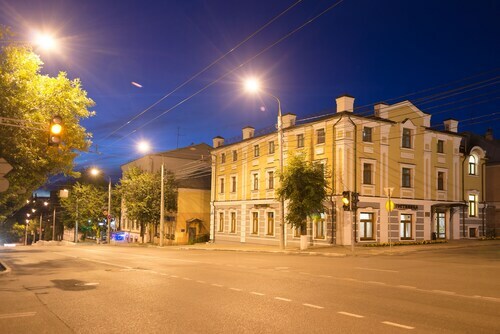 Located in the heart of Vladimir, this hotel is steps from Roman Catholic Church of the Blessed Virgin Mary of the Rosary, Old Vladimir Water Tower, and Lunacharsky Drama Theater. Golden Gates of Vladimir and Crystal Lacquer Miniatures and Embroidery Exhibition are also within 5 minutes. Vladimir Station is 26 minutes by foot.